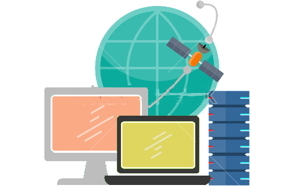 Broadband satellite solutions with regional or global coverage. SIRM is an independent provider of VSAT solutions for the maritime sector (Maritime VSAT) and is able to offer complete customer support for design activities, choice of on-board hardware, identification of the best communication solution, installation and post-sales support for the merchant & commercial, cruise & ferry, oil & gas, offshore and yachting sectors. SIRM has a consolidated experience in the field of VSAT services in the maritime field and offers customers a service model that maximizes the aspects of reliability and flexibility, ensuring the customer the integrated management of the entire project in close collaboration with suppliers of VSAT equipment and airtime services. 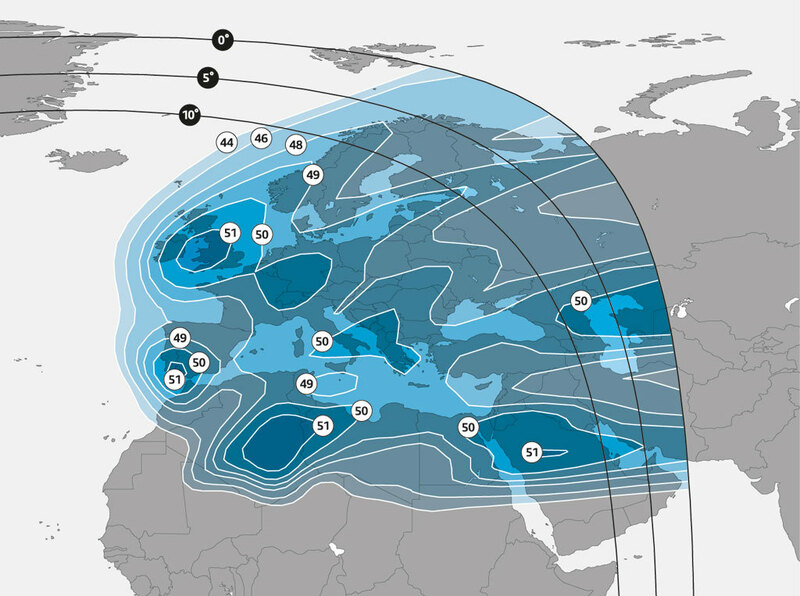 The portfolio of solutions includes, for the VSAT airtime component, regional and multi-regional KU-band and C-band coverage, global KU-band and C-band coverage, including SCPC, and the new KA-band HTS solutions with Telenor’s THOR7 satellite and Inmarsat FleetXpres. 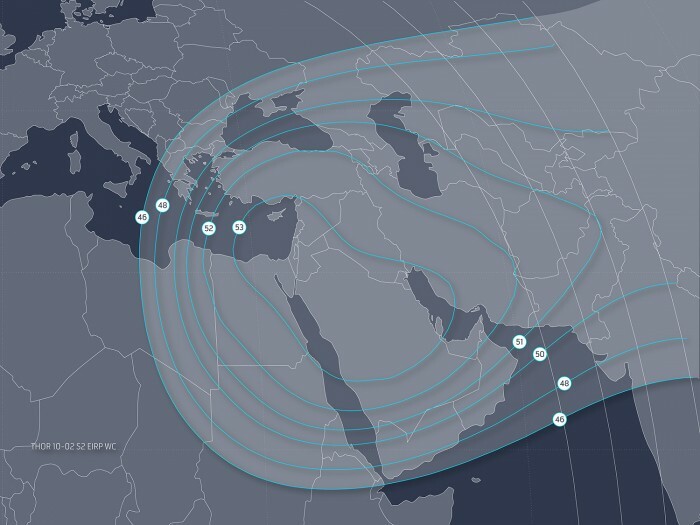 SIRM’s design approach ensures customers the best VSAT satellite connectivity solution based on communication needs and available budget, and the availability of hardware products from international brands with global support. Customers using SIRM’s VSAT services for applications ranging from Internet access, voice and video communications and for remote control of ship parameters in shore-based control centers. 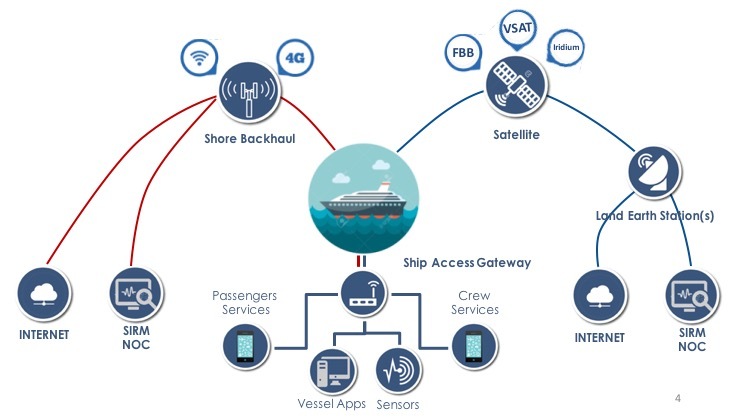 The OceanLink solution is SIRM UK’s maritime VSAT managed solution to offer an integrated customer service with global or regional coverage and to ensure a constant connection to the data network for VPN services, email, chart updates and crew internet access. OceanLink combines the quality of communication services, thanks to SIRM’s VSAT partner network, with a fixed monthly cost along with excellent post-sales service, able to follow the customer and ensure high continuity of service. OceanLink offers an end-to-end solution fully managed by SIRM UK to best meet all the needs of satellite communication and connection of the vessel to the broadband internet.the different maritime service options VSAT, customizable according to the MIR and CIR most suited to the needs of the owner and ship, can be combined with backup solutions MSS (Inmarsat Fleetbroadband or Iridium) or with the innovative solution Worldwide 3G mobile access, which offers a service access to the terrestrial broadband data network without roaming costs. 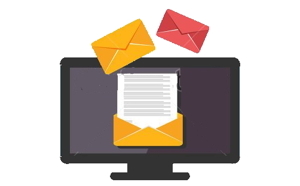 OceanLink allows you to have up to 2 voice lines (with geographical numbering), a CIR configurable according to the needs of the company, always ensuring a communication channel with no limits on consumption, to make critical business applications always available and with the appropriate bandwidth available. Through the ShipAccessGateway FleetOnCloud you will have the ability to manage service continuity, with backup on other communication channels available in case of unavailability of the VSAT service, and enable a range of value-added services, such as fleet management, telemetry, internet access for crew and passengers. 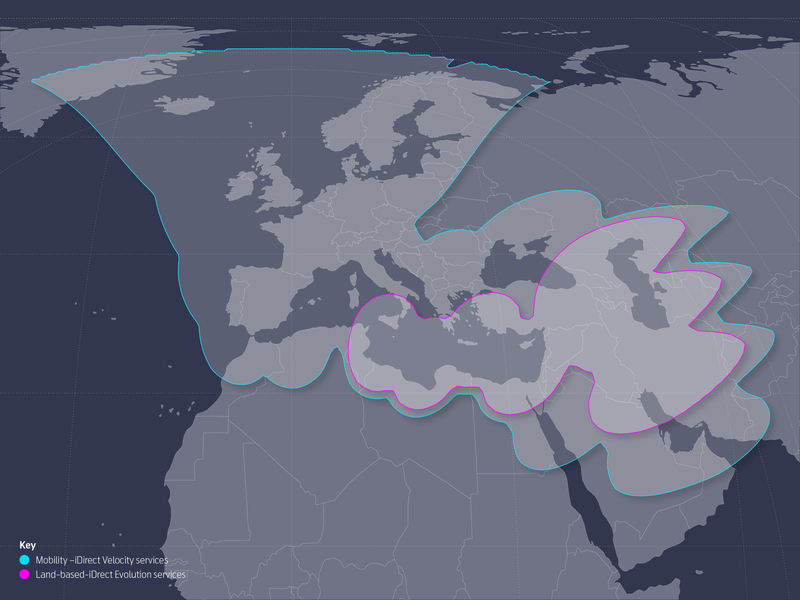 VSAT SIRM solutions can be offered with regional coverage (in KU or KA bands) or global coverage (in KU bands). SIRM, thanks to collaborations with the main operators in the sector, is able to offer one of the most extensive global covers with overlapping satellite beams in every area (4 in Europe), offering a more efficient service and able to overcome the problems of “blockage” of the antenna. Thanks to its network of partners, SIRM is able to offer a VSAT KU solution with global coverage, able to serve the main navigation routes. The solution allows an automatic switch between the different coverages, with integrated management by NOC SIRM and its partners. 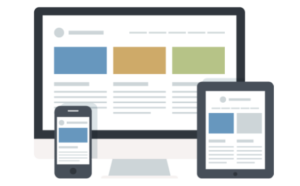 The service offer is completed by the ability to offer onboard technical support at a global level, reducing to a minimum the intervention time to resolve any anomalies. 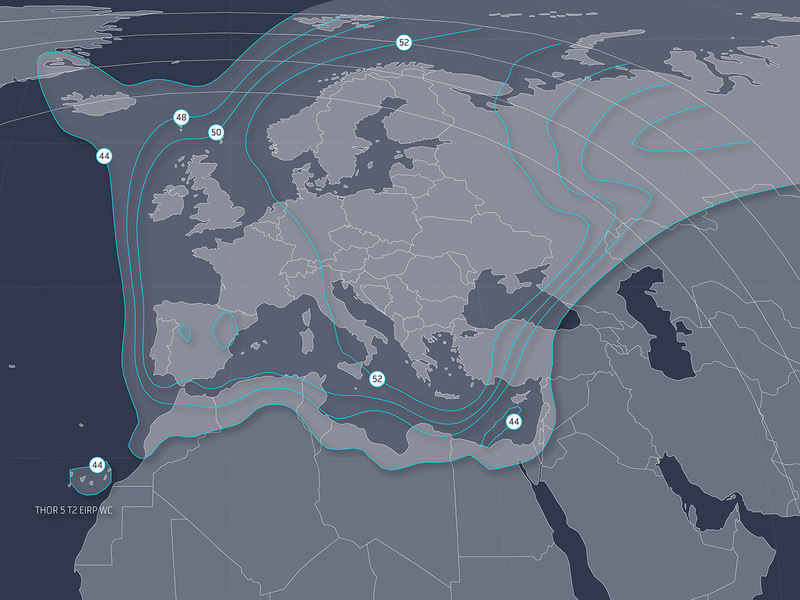 Thanks to its partnership with Telenor, SIRM is also able to offer the new KA regional solution via the Thor7 satellite. THOR 7 offers a truly broadband solution for the maritime sector with pan-European coverage of the North Sea and Baltic, Mediterranean and Red Sea areas and an unprecedented ability to offer mobile services. 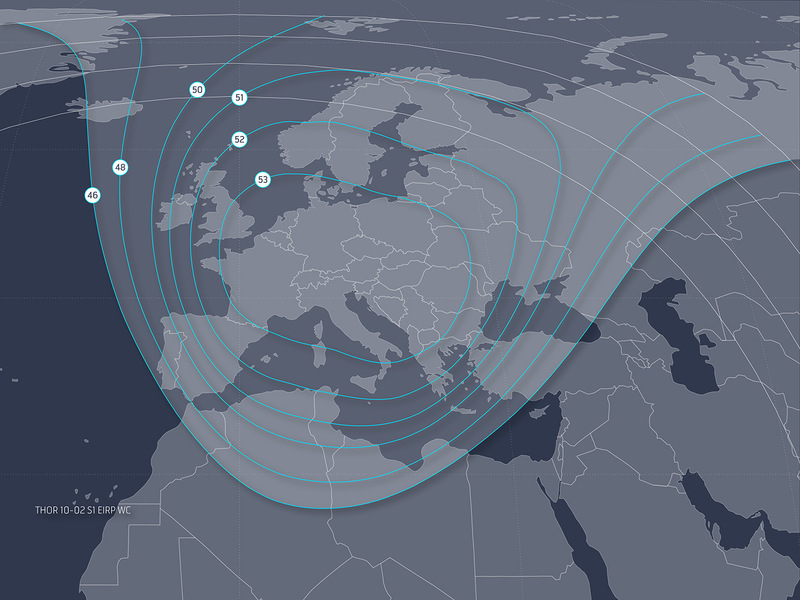 The solution is supported by iDirect next generation Velocity© platform, Telenor Satellite capable of offering automatic and seamless handover between satellite spot-beams, ensuring continuous connectivity throughout the satellite’s coverage area. The proposed solution allows access to the service with small antennas (50/60 cm) with service capacity up to 24Mbps in download and 6Mbps in upload. KA-band solutions are ideal for allowing internet access to both commercial and passenger vessels as well as to yachts and fishing boats. SIRM, thanks to its consolidated partnership with the main world manufacturers, is able to offer VSAT antennas designed to meet the conditions of use in the marine environment and with the most advanced technical features. 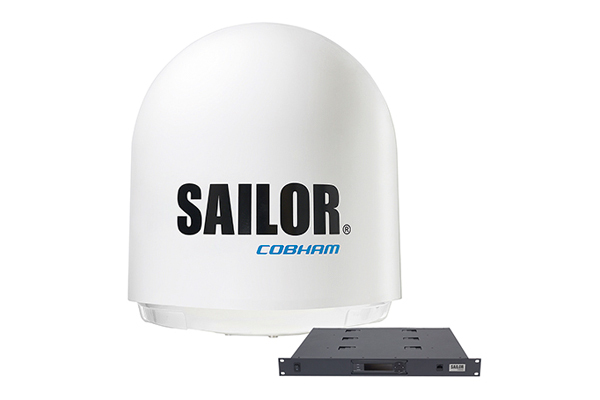 SIRM solutions can be requested using Intellian o Cobham antennas of a size best suited to the use of the system and the size of the vessel. If the VSAT antenna is already available on board, the SIRM technicians are able to operate on equipment of the main brands, including Orbit and KNS. Intellian V60KU/KA With a compact size and lightweight design, the Intellian V60 antenna is a suitable system for small boats and installations with space constraints, with a three-axis stabilization system that ensures very high performance. The antenna can be used with broadband, SCPC or hybrid satellite networks. 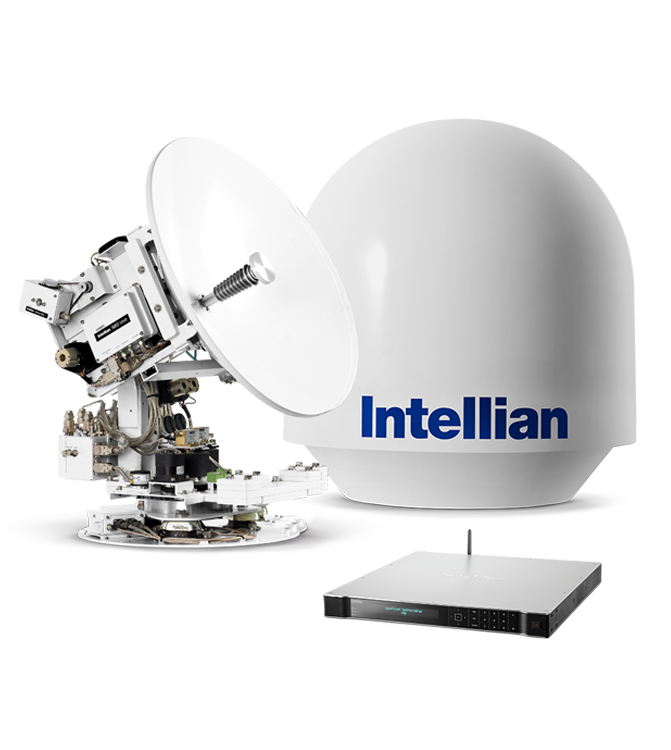 Intellian V80G KU The Intellian v80G is a VSAT antenna with 83cm disk in KU band, the system is able to operate without the connection to the gyrocompass. The antenna can be used on commercial boats or pleasure boats. 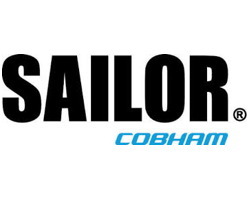 Sailor 800 VSATThe Sailor800 VSAT antenna is a high performance system with a three-axis stabilization system and a 83cm disc that fully reflects all the reliability and robustness characteristics of Cobham product. 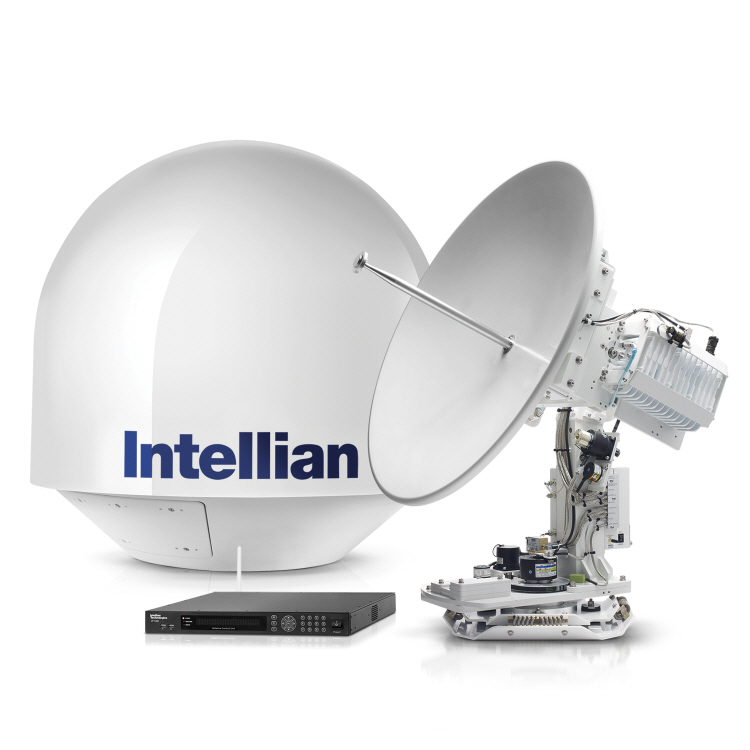 Intellian V100 KU/KA The Intellian v100, in the two configurations in Ku band or KA band, is one of the most popular systems in VSAT maritime class 1mt, thanks to the excellent RF performance, modularity of the system, configurable design and ease of use and installation. 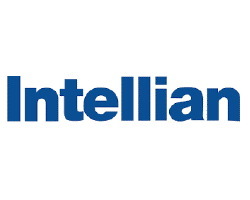 Intellian’s V100 is the most popular 1m antenna in the business. SIRM operates in the market to always offer the best VSAT communication solution for customers, with a specific response for large commercial transport fleets, passenger ships, fishing vessels and pleasure craft. With a growing demand for services that focus on reliability and performance, without losing sight of costs, SIRM provides solutions that offer the best to support operational efficiency and to offer internet access services for the crew and passengers. 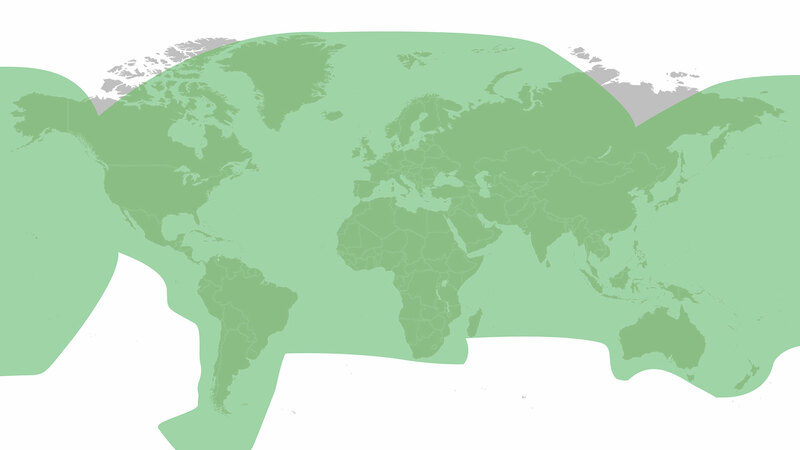 SIRM’s VSAT solutions are able to offer global coverage, maximum network availability (thanks also to the possibility of backup to different constellations such as Inmarsat FleetBroadband or Iridium), reliable voice services, high data speed and easy integration with ground systems. Our connectivity services offering always combines with a wide range of value-added cloud services to make it even easier to reach a ship from anywhere in the world. Multi-function, multi-channel system for centralised management of the network, on-board services and available satellite channels (primary and backup). 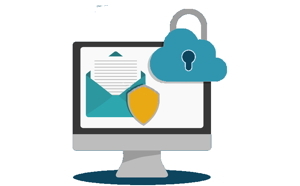 Network security solutions and systems on board ship through a tailored approach taking into account systems, software, procedures and the human factor.